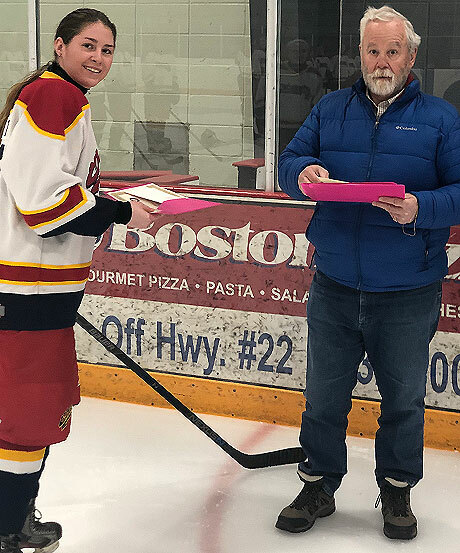 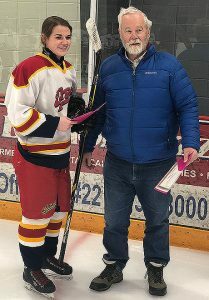 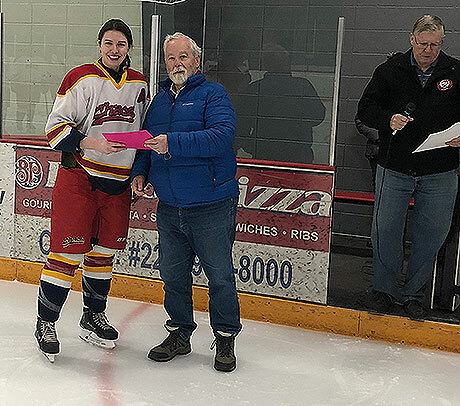 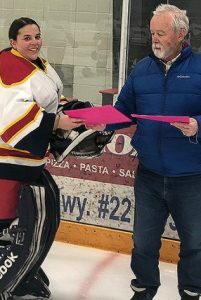 Danae Fischer of the Fort Saskatchewan Fury receives a Friends of Alberta Junior Hockey Society scholarship from Glenn Ball of the Friends AJH. Jacob Mandrusiak from the North Edmonton Red Wings is presented a 2018 Charles S. Noble Scholarship by Glenn Ball from the Friends of AJH. 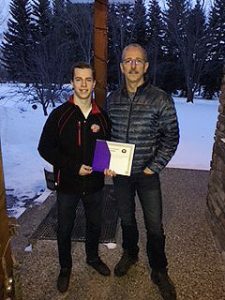 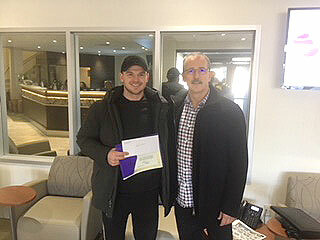 Glenn Ball from the Friends of Alberta Junior Hockey Society presents Tyler Weiss with his 2018 Friends scholarship. Glenn Ball from the Friends of AJH Society presents Brett Magee with his Friends of AJH Scholarship. 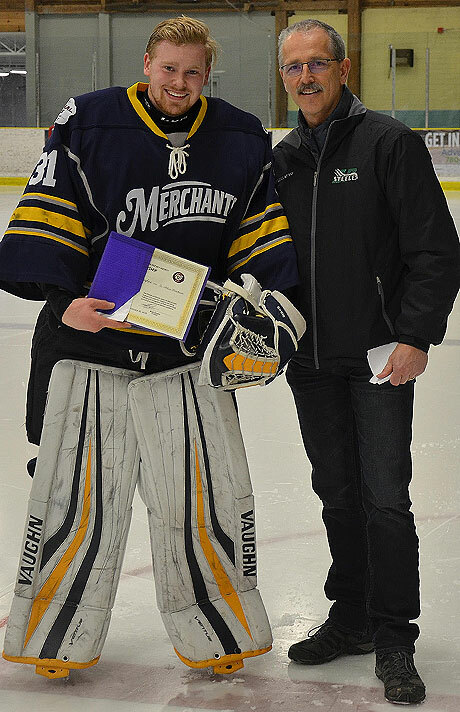 Congratulations Brett Magee from the Sherwood Park Crusaders!!! 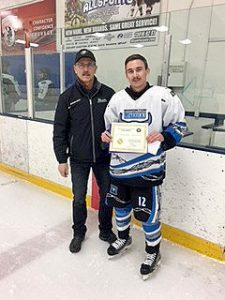 Brett is one of the recipients of a 2018 Friends of Alberta Junior Hockey Society scholarship. 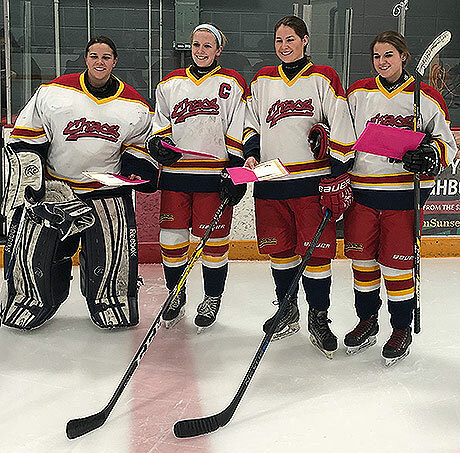 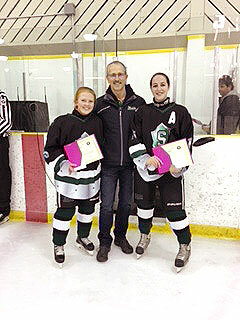 Glenn Ball from the Friends of Alberta Junior Hockey Society presents Kendelle Perneel(L) and Hailey Kucher(R) with their Friends of Alberta Junior Hockey Society scholarships. Congratulations to Kendelle Perneel & Hailey Kucher of the Sherwood Park Steele for winning scholarships from the Friends of Alberta Junior Hockey Society. 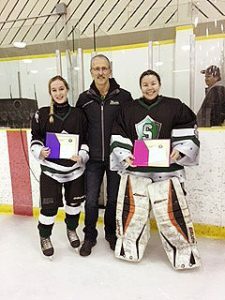 Congratulations to winners of Charles S. Noble Scholarships Sophie Robertson Kelsie Perneel of the Sherwood Park Steele!!! Friends of AJH Society Glenn Ball presents Sophie Robertson(L) and Kelsie Perneel(R) of the Sherwood Park Steele with their Charles S. Noble Scholarships.